Your workout CAN be fun! Next series starts March 8th. ​Starting with basic on-body hula-hooping and off- body (in the hand) moves, we combine moves to flow from one "trick" to the next. This class is a comprehensive class for beginners AND it will provide lots of ideas and challenges for intermediate hoopers. Early bird special: $77 for 7 weeks. ​Drop in rate: $13. ​Secure your spot now by making your early bird payment on Paypal. Hoopdance Fitness Workshop- Beginner Level- LULING! In this workshop-style class, you will learn the basics of hoopdance and hoop fitness and how to use a hula-hoop to burn calories and build strength. ​Hoops will be provided for class. These handmade hoops are bigger and easier to use than kid’s hoops and sports store hoops. After class, you'll be able to purchase your own handmade hoop, so you can keep on hooping. Class registration form and payment instructions are on the St. Charles Parish Community Ed website. Registration deadline is February 24th. This workshop is $25/ adult, $15/ youth, age 10-18. Bring your water bottle and notebook & pen, if you like to take notes. Hoops available for sale for $40-50- cash/ check/ credit card payable at class. 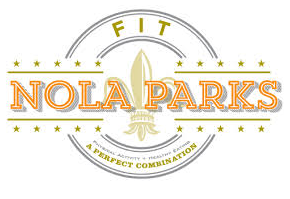 This is a FREE Fit NOLA @ NORDC fitness class. ​This class is mixed level, and super casual. It's a great place for beginners to play, learn, & hoop at their own pace. ​My specialty handmade hula-hoops are provided. No registration needed, just sign in at the front desk.